Venky is an attorney-mediator who brings to bear his eclectic background and combination of skills to the world of Mediation. He is very detail oriented and extremely persistent when trying to find solutions to intractable problems. He has an uncanny ability to spot common ground between the parties and then and visualize solutions that others may miss - which is what makes him a highly effective mediator. He has a multi-cultural and multi-national background - he speaks several languages (Hindi, Tamil, Marathi and Urdu) other than English - which means he is able to relate with people from any background. He is extremely familiar with Texas Family Law having litigated a case from Trial Court to the 5th Court of Appeals to the Texas Supreme Court. The legal insight he has gained in the process allows him to more effectively facilitate settlements in highly contentious family disputes. During his tenure in the corporate world, he has negotiated numerous business contracts (especially those involving multi-national / offshore service providers and large US Corporations) and so is intimately familiar with the types of disputes that may arise in cross-cultural business transactions and how they can be resolved. 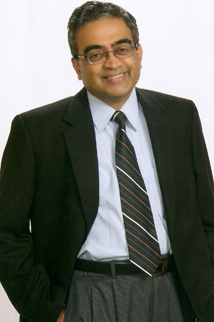 He is on the list of Private Mediators at SMU Plano Mediation and Conflict Resolution Services (http://www.smu.edu/Simmons/CommunityEnrichment/MediationClinic/PrivatePractice) where he also contributes as a Volunteer Mediator (http://www.smu.edu/Simmons/CommunityEnrichment/MediationClinic/Mediation). Further, having gained electrical engineering and management degrees from elite schools (IIT and IIM in India, UConn and Stanford in the US) he is has a JD from the Mitchell-Hamline School of Law. He has had a long career working with firms providing ITO and BPO services for various industries, in multiple areas of business (including Retail, Utilities, Banking, Financial Services, Legal, Telecommunication and Transportation). He has been engaged in the past by both marquee clients as well as multinational vendors. He has worn a multitude of hats at firms ranging from start-ups to multinationals (being just at adept in working effectively in an entrepreneurial mode as fitting seamlessly into a large multinational organization). He is equally at home in the areas of engineering, information technology, management, consulting, law and academia.